Copywriting blog for Columbus-based freelance writer, Ken Worrall. Learn about copywriting, branding, and marketing techniques. Interested parties can hire a freelance copywriter on his site. Some are saying that this is the ultimate comic book movie, and in many ways they are right. But for being the ultimate superhero movie, Snyder really shies away from the geekiness. The Silver Age silliness of Lex Luthor from Superman Returns is nowhere to be found in Man of Steel. Nor is kryptonite -- the magic rock that takes away Supes' powers was so hard to understand for the writers of Returns that they let the one guy on planet Earth weak to it throw a small island of it into outer space. Snyder took all of the difficult parts of Superman (aka comic book science) and threw them out the window. Superman saves people. Just not in this movie. It's safe to guess that tens of thousands of people die during the course of Man of Steel, and Superman actively doesn't save them. And that's what bugs me about this movie days later. If you take away all of the superpowers and the villains, Superman would still just be a guy who saved people. That's who he is. During the course of Snyder's film he actively ignores the well-being of civilians. During a Smallville fight scene he tells people to get inside and then he demolishes the entire block. When faced with the choice between stopping two different machines, one in the heart of Metropolis and one in the middle of the Indian Ocean, Supes ignores the millions of people and attempts to destroy the ocean one. And maybe most perplexing is his choice to punch Zod into the inhabited part of Metropolis away from the destroyed zone just so Snyder can destroy a few new buildings. Snyder makes conscious his decision to portray the man of steel in a completely different light with the lone time anyone says the word 'Superman': someone jokingly says the name, and is sort of embarrassed by it. 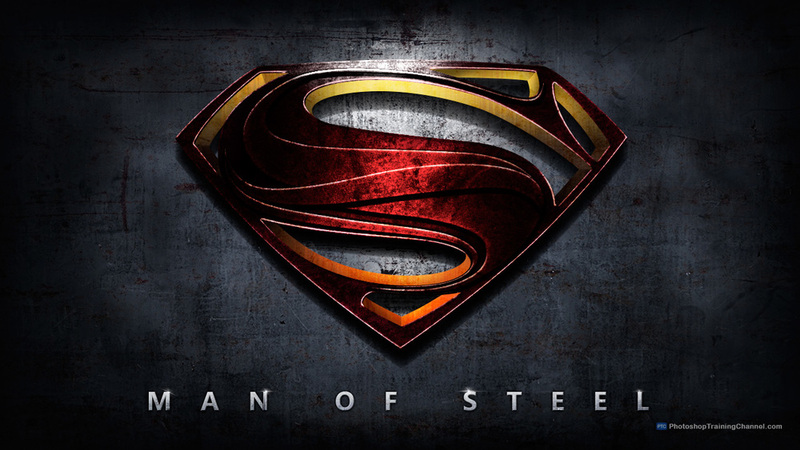 The movie is called Man of Steel -- and it distances itself as much as possible from the tropes of Superman comics. No Jimmy Olsen, no Lex Luthor, no Kryptonite, and no mention of Smallville. Though the name of the town can be seen in the background (right before Superman wipes it off the map) and there is a Lexcorp hazardous materials truck in the final fight. To Snyder's credit, the Lexcorp truck is a far more subtle set-up for a sequel than the Joker's card at the end of Batman Begins. Most aggravating was Lois Lane's complete lack of pluck. She mentions that she's a Pulitzer-winning journalist, but we never see her do anything to deserve that prize. Aside from somehow being the only journalist to deduce Superman's identity, which is negated by the fact that she brings a squad car to go see him as he's talking with his mother nonchalantly in his suit at their house. Now I guess those police guys know too, but whatever, they probably numbered in the thousands killed later in the film. Despite its flaws (its major, unforgivable flaws), Man of Steel does have some home runs hidden in it. They're not just great comic book movie moments; they're great moments in film. As young Clark's power manifest, he has a panic attack in school and locks himself in a janitorial closet. Ma Kent comes to the rescue and delivers the most eloquent speech in the movie. Hearing this is beautiful moment in an often clumsy film. There were a few other one-liners of note. Though Pa Kent's non-speaking hand gesture right before disappearing Elijah-style is not among them. And everything looks gorgeous. I mean, really gorgeous. It is as imaginative as Prometheus, but with a little more heart thrown into the young Clark scenes. In fact, I'd watch a whole movie of young Clark's adventures. Krypton and any scene with the suit feel like an add-on. Other Problems: - I'm still not clear on how Jor-El worked. He was in the key and had god-like control over the ship, but couldn't appear to Superman in the other room or blow it up? - How did Zod already know everything about Earth and its languages? - Knowing that Krypton would explode, why sentence criminals to the Phantom Zone safely in orbit and remain on the planet waiting for your own lives to end? - Lens flare and bass. Man, that kid is strong like something fierce for the amount of bass that shook the theater when he put his hands on his hips. - Product placement. It felt like there was a Sears sign behind every close-up of the bad guys punching Supes. - Why does Lois have an iPad and Nokia phone? Completely. Unrealistic. There's still yet the problematic and amateurish scene in the desert. But the writing, editing, and acting in those five minutes is so bad that it may deserve its own post. WHAT TO PAY: $7 On a scale of $1.50-$15, this falls right in the middle. I was very happy with the matinee price I paid. This is a fun evening movie, but please god don't think too hard about it. Maybe that's what evil genius Lex Luthor does in the sequel -- pick apart the problems with the first film. Copywriter, playwright, journalist, and project manager based in Columbus, Ohio. Playwright, co-host/co-nerd of the Writers Get Animated podcast, content manager, and #WordNerd.